Gov. Larry Hogan explains his budget proposal at a Jan. 7 press conference. Left is Lt. Gov Boyd Rutherford, on the right is Budget Secretary David Brinkley and fiscal advisor Bob Neall. Hogan won’t be talking about the budget when he releases it Wednesday. Gov. Larry Hogan will submit his fiscal 2017 budget to the legislature Wednesday, but he won’t be briefing reporters about it. 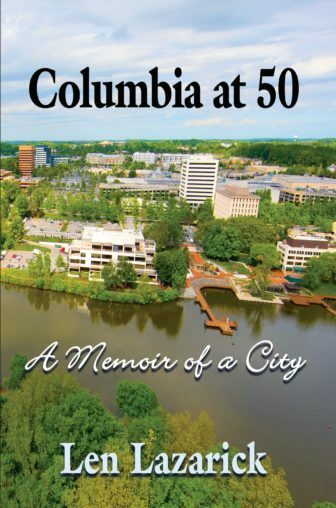 Skipping a budget routine that goes back a dozen years or more, Hogan will not unveil his overall budget and the thick five-volume set of budget books that go with it in the governor’s formal reception room. That duty will be handled by Budget Secretary David Brinkley in his offices two blocks from the State House. 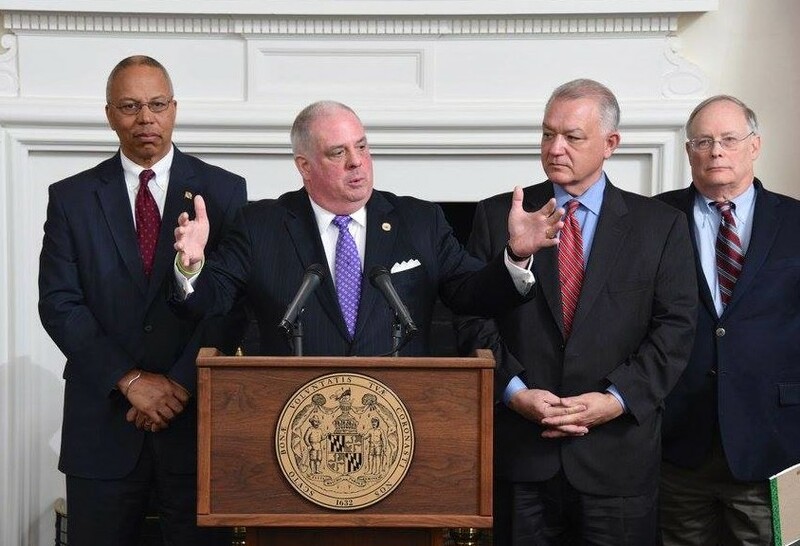 At that time, in an event called a “state fiscal update,” Hogan unveiled the broad outlines of a $17.1 billion spending plan he called the state’s “operating budget” but is more accurately termed the “general fund” budget. That part of the budget does not include spending on roads, transit or universities nor does it account for over $11 billion in federal funds which support the state’s largest single program, Medicaid. The money passing through state bank accounts next year will actually top $41 billion, referred to as the “total funds” budget. Hogan’s Jan. 7 briefing left many questions unanswered, such as whether state employees will get any kind of raises or how much doctors, hospitals, disability caregivers and others will be paid, often some of the most contentious issues in the budget plan. Hogan did a similar press conference last year, describing only the general fund budget, and leaving it to his budget secretary to explain the sketchy details. The governor this year did promise to fund every mandated spending program, such as full funding for K-12 education, but that does not include state funding of universities and community colleges. Patrick Moran, president of the state’s largest public employee union, told MarylandReporter.com last week that on Dec. 17, two weeks before contract negotiations were supposed to be finished, the Hogan administration only offered to fund step increases if the union agreed to change the way overtime was calculated. The union representatives rejected that plan. The administration did not discuss a cost-of-living increase at the meeting, Moran said. The union seeks a $1,200 across-board hike for every state employee.